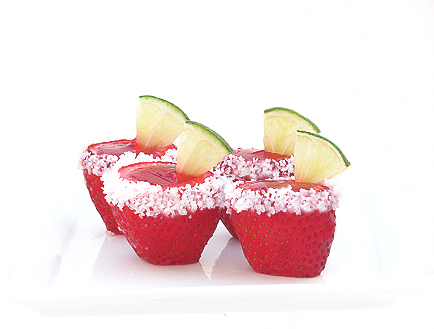 So I thought write a “On My Plate” with a recipe for “Jell-O Shots” seems perfect for another “On My Plate” post on my blog. I’m SO happy to share this one with you guys! I’ll be posting more recipes about starters, main dishes, desserts and many more. If you try make any of them, I’ll be happy to read your comments. `Note to self: If there is a hole of any size in the bottom of the berry the Jell-O will flow right through! Use the real Jell-o mix and not a store brand, as the store brands tend not to set up as firmly. 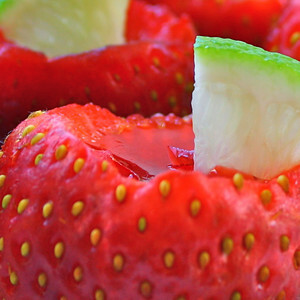 Choose the freshest strawberries you can find. 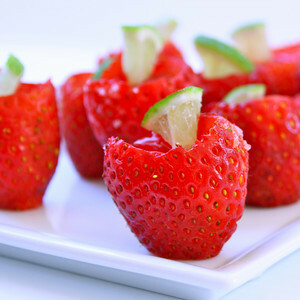 You can use a strawberry huller or an apple corer along with a melon baller to empty out the strawberry. 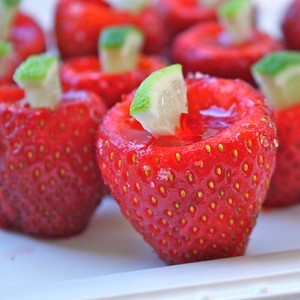 The gelatin is mixed with water, 4 oz of tequila and 2 oz of Grand Marnier. 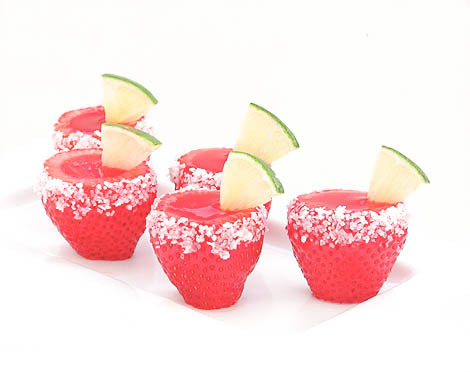 When mixing, the “potion” smelled just like a Strawberry Margarita!The next hurdle was to actually get the Jell-O into the hollowed out berries… not an easy feat. The dropper sucked up about a Tbs of the Jell-O and squirted it into the berry.